Harmonix Music Systems, Inc. and Tilting Point® have released a special christmas update for their music game Beat Sports™, recently awarded as an Apple TV Best of 2015 title. 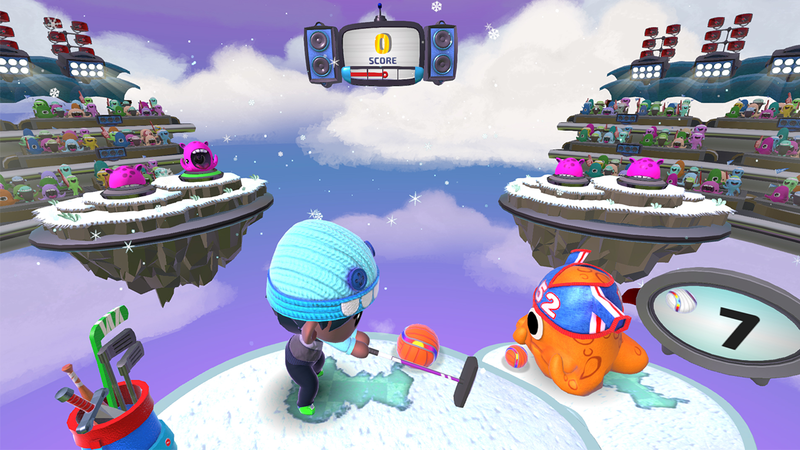 A new Winter world brings nine original, single-player levels to the galaxy, three for each mini-game, and each of these stages features its own new song. There’s also a bonus playable song for the multiplayer mini-game Buddy Ball. 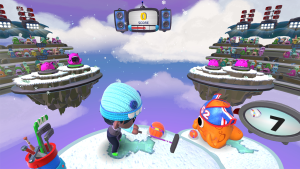 Players can also unlock seasonal outfits, such as the ski suit and winter hat, as well as new bats, including the ski pole, curling broom, snow shovel and more. Beat Sports is a collection of high-score-fueled, music-infused mini-games drawing from familiar sports like tennis, volleyball and golf. It features adorable characters from across the cosmos and original tracks composed by Harmonix and PaRappa the Rapper creator Masaya Matsuura. Swing and volley to the beat with the Siri Remote’s intuitive motion and touch controls, or compete with up to three friends in Buddy Ball using the iPhone or iPod touch as extra controllers via the App Store’s free Beat Sports Remote App. Beat Sports is available exclusively for Apple TV on the App Store for $9.99 with no in-app purchases. For more information, please visit www.beatsportsgame.com, and follow @beatsportsgame on Twitter and Beat Sports on Facebook. Prices in Scandinavia: SEK 109,00, DKK 79,00, NOK 95,00 and 9,99 €. Leo’s Fortune – out today on Google Play!